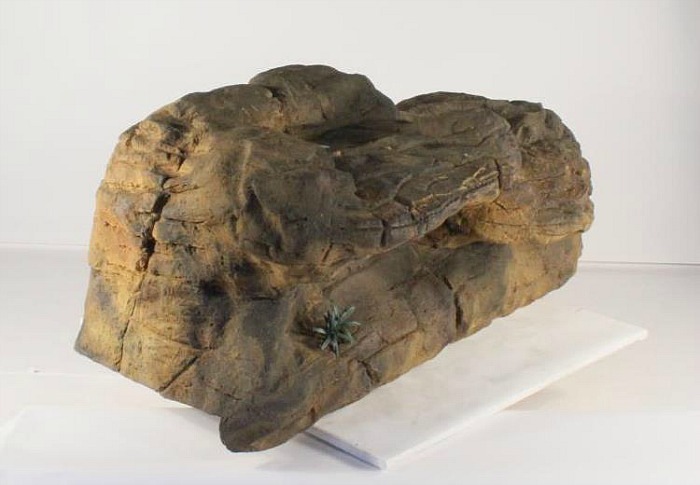 One of the easiest ways of creating and designing a water feature of choice is by using artificial rocks. 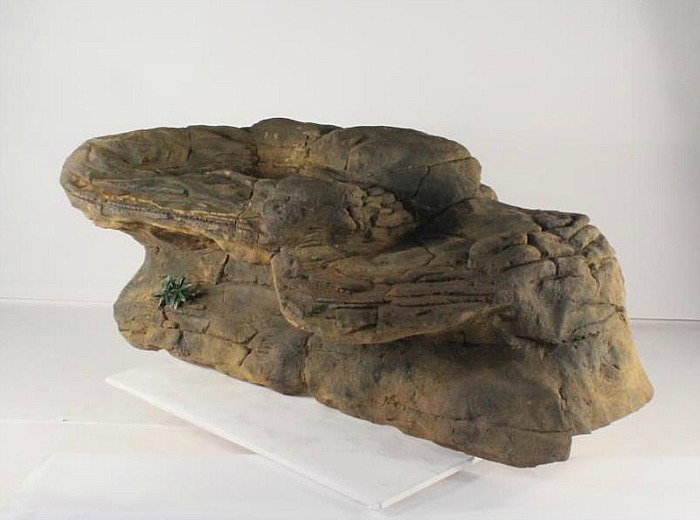 Our breathtaking Beachcomber swimming pool waterfall kits complete with perfectly matched edge rocks is an ideal example of a three piece 12' pool rock designed for the swimming pool landscape. This extremely beautiful pool waterfalls rock is a double cave plateau with a small cascade connecting them at the back. This very impressive swimming pool waterfalls called the Beachcomber has a main waterfalls rock that's about 28" high and 78" long. 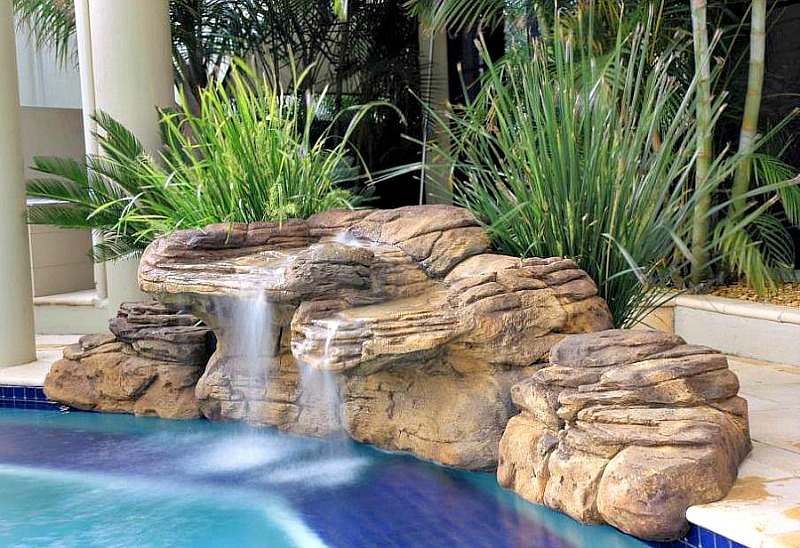 The creative edge rocks gives this gorgeous pool waterfalls a complete rock formation look for a tropical water garden oasis. This spectacular backyard pool landscape feature and pool waterfalls kit comes with a 1.5 inch (40mm) water outlet fitting that can easily be hooked up to your existing pool pump.